Explore hidden gems such as Wada House and Kita Family House. Do some cultural sightseeing at Daihonzan Eiheiji Temple and Ninja Temple. You'll find plenty of places to visit near Kanazawa: Fukui Dinosaur Museum (in Katsuyama), Takayama Jinya (in Takayama) and Chirihama Nagisa Driveway (in Hakui). Next up on the itinerary: tour the pleasant surroundings at Tojinbo Cliff, steep yourself in history at Nomura Family Samurai House, and contemplate in the serene atmosphere at Oyama Shrine. To see photos, more things to do, reviews, and other tourist information, refer to the Kanazawa sightseeing planning app . San Francisco, USA to Kanazawa is an approximately 15-hour combination of flight, bus, and train. You can also do a combination of flight and train; or do a combination of train, flight, and bus. Due to the time zone difference, you'll lose 17 hours traveling from San Francisco to Kanazawa. Expect slightly colder temperatures when traveling from San Francisco in November; daily highs in Kanazawa reach 59°F and lows reach 45°F. Wrap up your sightseeing on the 26th (Mon) to allow time to travel to Takachiho-cho. The mountain town of Takachiho-cho remains a place of great importance to Japan's spiritual and natural heritage, and the point where these two things intersect. Kick off your visit on the 27th (Tue): take in the spiritual surroundings of Amanoyasu Kawara, admire the sheer force of Manai Falls, contemplate in the serene atmosphere at Kaguraden, then contemplate in the serene atmosphere at Takachiho Shrine, and finally take in breathtaking views at Takachiho Gorge. On the 28th (Wed), you'll have a packed day of sightseeing: contemplate in the serene atmosphere at Amano Iwato Shrine, take your sightseeing to a higher altitude at Kunimigaoka, and then take in the dramatic natural features at Tokubetsuto Rice Terraces. To find where to stay, other places to visit, traveler tips, and other tourist information, you can read our Takachiho-cho trip builder app . Traveling by combination of train, flight, and taxi from Kanazawa to Takachiho-cho takes 7 hours. Alternatively, you can do a combination of train, bus, flight, and taxi; or drive. In November, daily temperatures in Takachiho-cho can reach 62°F, while at night they dip to 48°F. Wrap up your sightseeing on the 28th (Wed) to allow time to travel to Yakushima-cho. Take a break from the city and head to Yakusugi Land and Oko no Taki Fall. Eschew the tourist crowds and head to Wilson Stump and Shakunagenomori Park. The adventure continues: make a trip to Taikoiwa, contemplate in the serene atmosphere at Ushidokomoisho, and take in breathtaking views at Shiratani Unsuikyo Valley. For where to stay, other places to visit, traveler tips, and more tourist information, you can read our Yakushima-cho online trip itinerary planner . Traveling by combination of taxi, train, and flight from Takachiho-cho to Yakushima-cho takes 7.5 hours. Alternatively, you can do a combination of car and ferry; or do a combination of bus, flight, and taxi. In November, Yakushima-cho is a bit warmer than Takachiho-cho - with highs of 70°F and lows of 60°F. Finish up your sightseeing early on the 1st (Sat) so you can travel to Shari-cho. 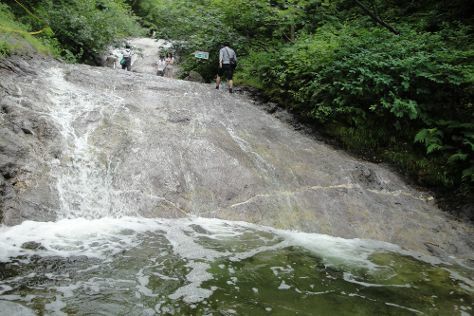 Start off your visit on the 2nd (Sun): take in the dramatic scenery at Oshin Koshin Falls, then explore the activities along Shiretoko Beach, and then cruise along Shiretoko Pass. Get ready for a full day of sightseeing on the next day: get engrossed in the history at Shiretoko World Heritage Conservation Center, then explore the activities along Shiretoko Goko Lake, and then take in the dramatic scenery at Kamuiwakka Hot Waterfall. Plan a Shari-cho trip in moments using our itinerary builder. Do a combination of taxi and flight from Yakushima-cho to Shari-cho in 9 hours. Alternatively, you can do a combination of taxi, flight, and train; or do a combination of taxi, flight, and car. Traveling from Yakushima-cho in December, expect Shari-cho to be much colder, temps between 33°F and 23°F. Wrap up your sightseeing on the 3rd (Mon) to allow time to travel to Nanjo. With a long Pacific coastline, Nanjo offers fantastic views of the ocean from high cliffs covered with lush greenery, as well as from its long sandy beaches. Get outdoors at Cape Zampa and Okinawa World Bunka Okoku Gyokusendo. Okinawa Peace Memorial Park and Katsuren Castle Ruins will appeal to history buffs. 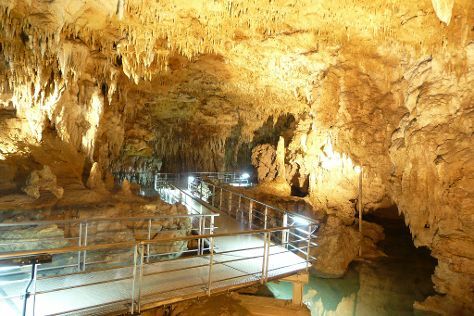 Get out of town with these interesting Nanjo side-trips: Naminoue-gu Shrine (in Naha) and Onna-son (Scuba & Snorkeling, Cape Manzamo, & more). There's still lots to do: steep yourself in history at The Tower of Himeyuri. To see other places to visit and tourist information, refer to the Nanjo trip itinerary website . Getting from Shari-cho to Nanjo by combination of taxi, flight, and bus takes about 8 hours. Other options: do a combination of car and ferry. Traveling from Shari-cho in December, expect Nanjo to be much hotter, temps between 70°F and 62°F. 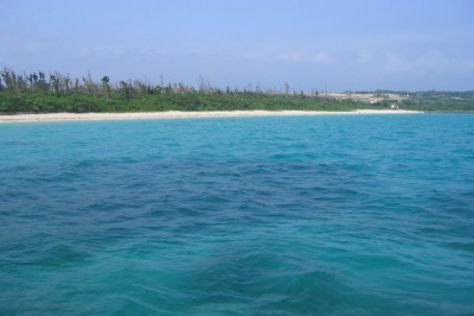 Cap off your sightseeing on the 6th (Thu) early enough to travel to Ishigaki. Get in touch with nature at Nishihama Beach and Cape Hirakubozaki. Discover out-of-the-way places like Hama-jima Island (The Phantom Island) and Pemuchi Beach. Step out of Ishigaki to go to Iriomote-jima and see Canyoning & Rappelling Tours, which is approximately 1h 15 min away. 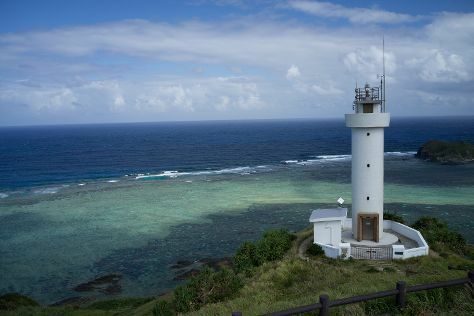 There's much more to do: stroll through Kondoi Beach, enjoy the sand and surf at Yonehara Beach, contemplate the long history of Ishigaki Yaima Village, and enjoy breathtaking views from Tamatorizaki Observatory. To find maps, traveler tips, and tourist information, use the Ishigaki travel route planner. Traveling by combination of taxi and flight from Nanjo to Ishigaki takes 1.5 hours. December in Ishigaki sees daily highs of 72°F and lows of 64°F at night. Wrap up your sightseeing on the 10th (Mon) early enough to travel to Miyakojima. Step off the beaten path and head to Toguchi no Hama and Shimojiiima Island. Get in touch with nature at Tomori Imugya Beach and Hora Gyoko no Hama Beach. There's much more to do: explore the activities along Toriike Pond, tour the pleasant surroundings at Sunayama Beach, snap pictures at Irabu Bridge, and make a trip to Ikema Ohashi Bridge. For where to stay, more things to do, and more tourist information, use the Miyakojima attractions planner . You can fly from Ishigaki to Miyakojima in an hour. Expect a daytime high around 71°F in December, and nighttime lows around 64°F. Wrap up your sightseeing on the 13th (Thu) to allow time to travel back home.